Valmet will deliver automation technology to Sabah Electricity Sdn. Bhd. 's (SESB) Patau-Patau power plant on the island of Labuan, Malaysia. The plant's existing automation system will be replaced with modern technology that integrates boiler, feedwater and turbine control into one Valmet DNA automation platform. Modernization improves process controllability and availability. The order was included in Valmet's first quarter 2016 orders received. The value of the order will not be disclosed. Typically the order value of automation system deliveries ranges from below EUR one million to EUR three million. The new automation system will be started up in July 2016. Valmet carries out the project in cooperation with its local partner PESTECH Technology Sdn. Bhd. The project involves several partners working together in different parts of the power plant. "We have previously delivered automation to Sabah Electricity's power plants in Tenom and Melawa. This repeat order shows that the customer has been happy with the performance of our technology and joint project execution by Valmet and PESTECH," says Esko Koivisto, Manager, Strategic Accounts, Automation, Valmet. "In this project, PESTECH and Valmet are cooperating closely with TNB Remaco, a company working on a gas turbine interface between a GE control system and the Valmet control system. The project will be carried out in a very tight schedule," explains Puvanesvaran, Sales Manager at PESTECH. 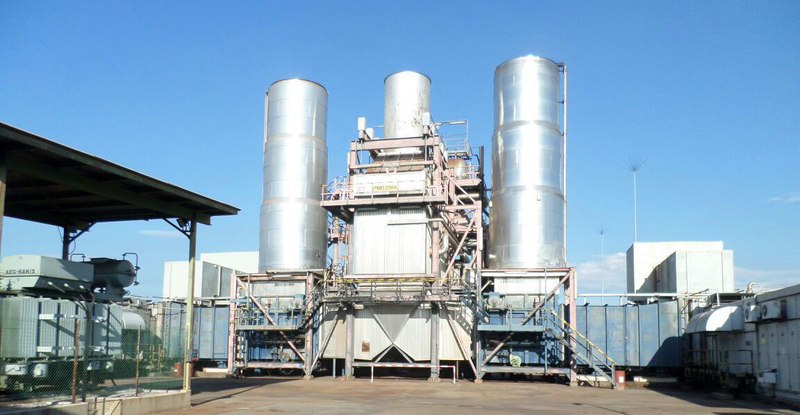 The Patau-Patau combined cycle power plant is the largest of Sabah Electricity's plants. Its generating set includes three gas turbines and one steam turbine, featuring a total generating capacity of 112 megawatts electric (MWe). Valmet's automation technology will provide the plant with significant benefits. "All controls will be integrated into one control platform. In case there are problems, integration makes troubleshooting more effective as it is possible to use one and the same engineering work station for determining the root cause. As two other Sabah Electricity's plants already use the Valmet DNA technology, all three can benefit from spare part pooling," Esko Koivisto adds. Valmet's delivery to the Patau-Patau power plant includes a Valmet DNA automation system, an information management application, a turbine controller for an AEG Kanis steam turbine, integration of two existing GE F6 gas turbine controllers into Valmet DNA, engineering and commissioning. Valmet will also provide virtual factory acceptance testing to clearly shorten the project schedule. PESTECH Technology will be responsible for the total project delivery, cabinet assembly, system and field wiring as well as the Valmet DNA application for the heat recovery steam generator and feedwater control system. Information about the customer Sabah Electricity Sdn. Bhd. Sabah Electricity Sdn. Bhd. (SESB) is an 80% owned subsidiary of Tenaga Nasional Berhad (TNB) and 20% by the State Government of Sabah. It is a vertically integrated utility providing reliable generation, transmission and distribution services in the state of Sabah and the Federal Territory of Labuan.